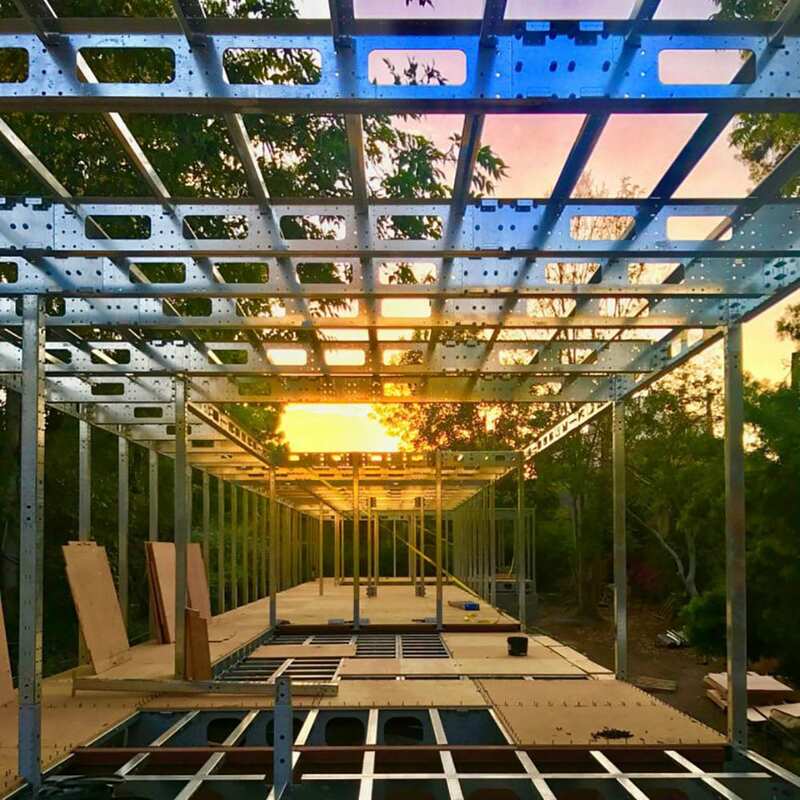 Dan Brunn Architecture, BONE Structure®, and Modaa Construction are presenting Dan Brunn’s Bridge House at Dwell on Design 2018. 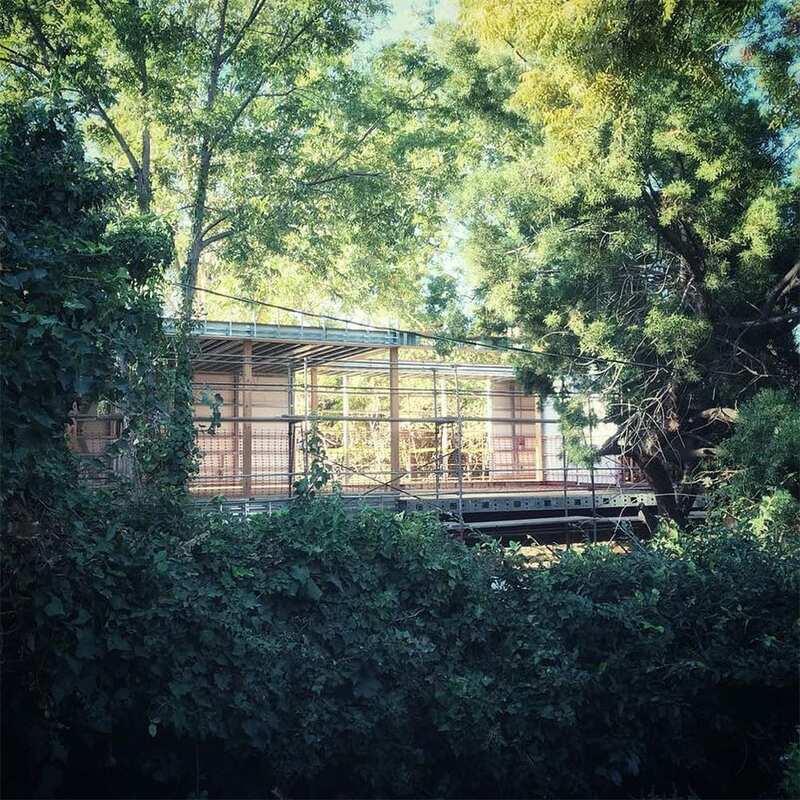 Conceived as a laboratory for contemporary building and living that literally spans a brook in the middle of Los Angeles, this minimalist, energy-efficient home perfectly showcases the integrated process, production and construction technologies that made it possible. 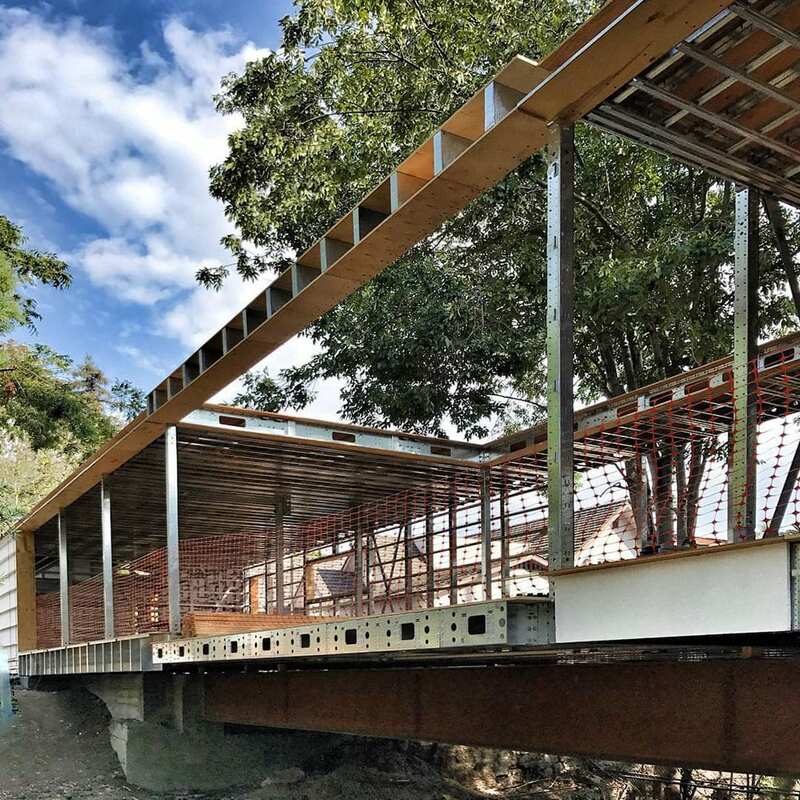 Dan Brunn, AIA, Principal of Dan Brunn Architecture has designed a one-of-a kind “bridge house,” that will, literally, bridge over a stream. The 4,500-square-foot home serves as a demonstration of innovation and forward-thinking processes. 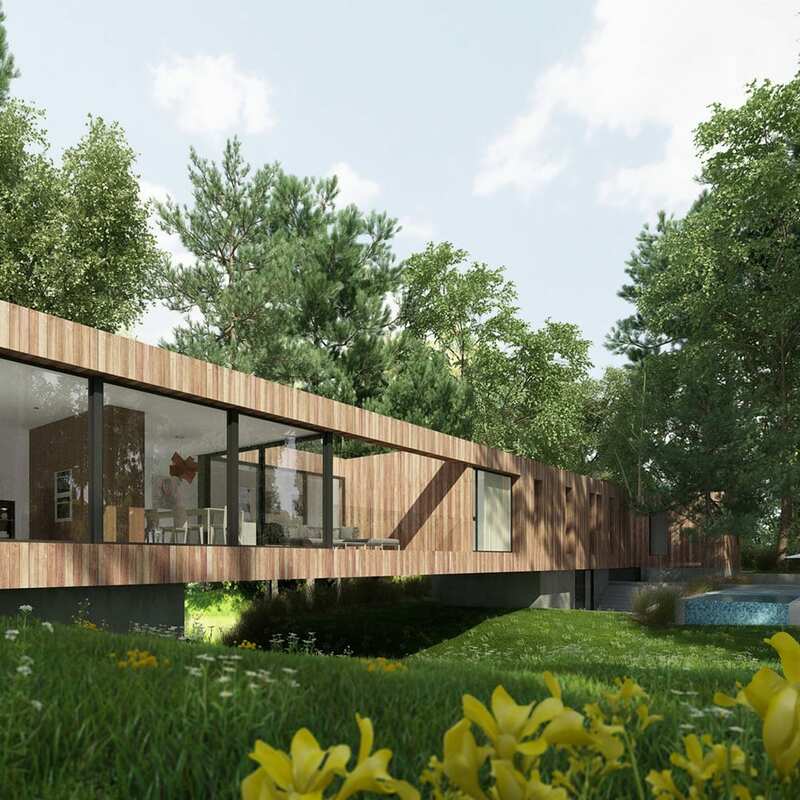 When completed, Bridge House will stretch 210 feet across the grounds, straddling a brook in an architectural maneuver that gives the project its name. 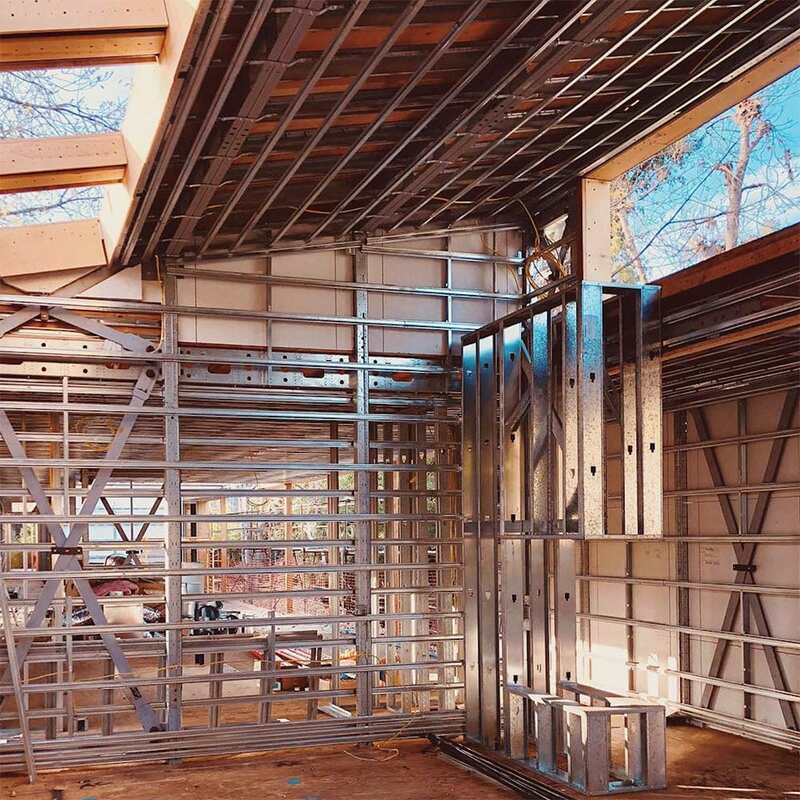 Built by Modaa Construction, Bridge House uses the patented BONE Structure steel framing technology and integrates numerous systems which allow it to achieve Net Zero Energy Efficiency. 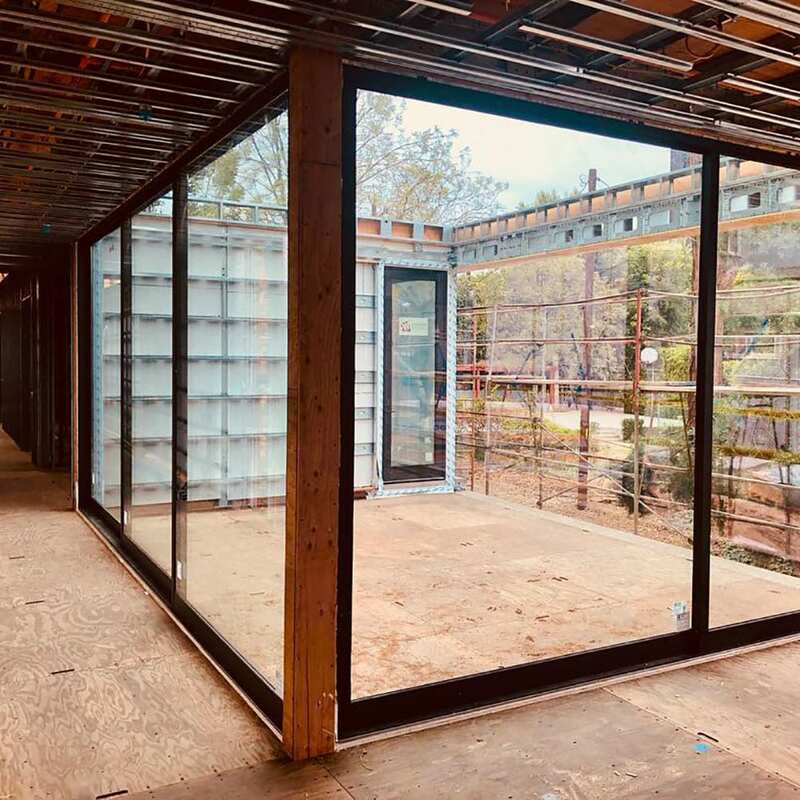 A Net Zero Energy (NZE), as defined by the California Energy Commission, is a building for which the amount of energy provided by on-site renewable energy sources is equal to the amount of energy used by the building, over the course of one year. The world of design collides in Los Angeles at Dwell on Design – a four day inspiring experience for design and architecture professionals and design enthusiasts. 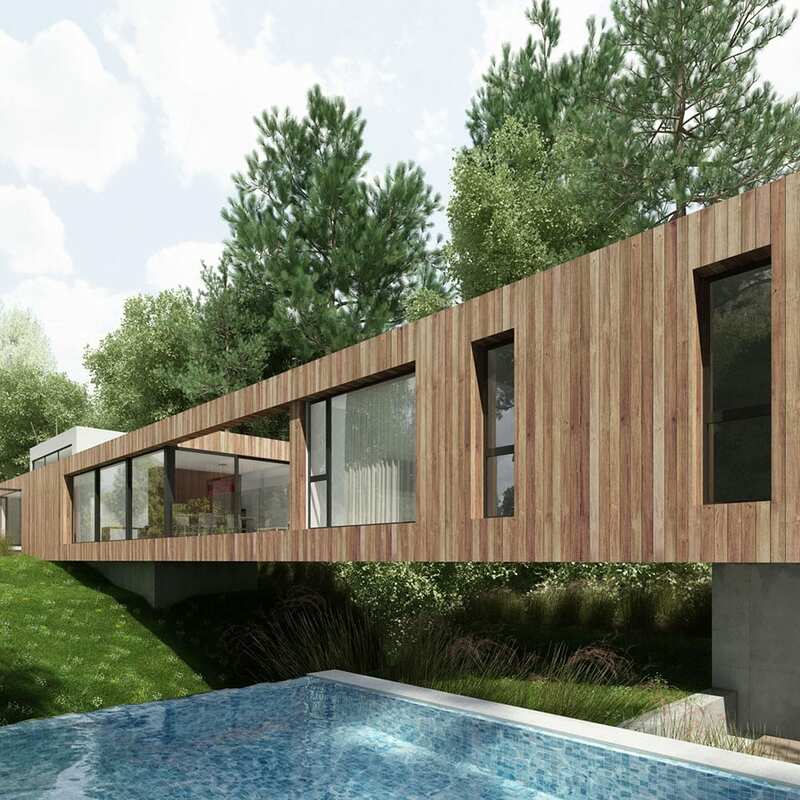 The BRIDGE HOUSE display at Dwell on Design will showcase the design and unique technology behind this home. Visit the Bridge House in Los Angeles. The house is currently under construction, demonstrating the unique technology used to assemble its structure: the BONE Structure construction system. 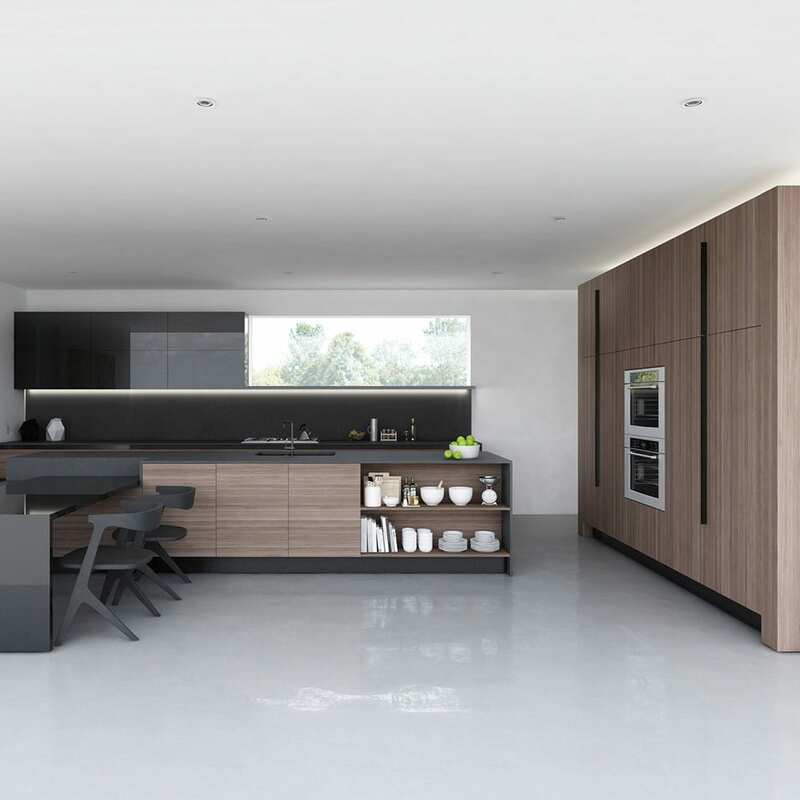 See, experience and understand the features of the home as well as the process behind its design and construction. Building construction technology has been so far behind, till now. Finally, we have progressed, we are excited by the prospect of no waste, energy efficiency and design freedom. The precision of the BONE Structure system is so evident and clear, it is like seeing the inside of a Swiss watch. 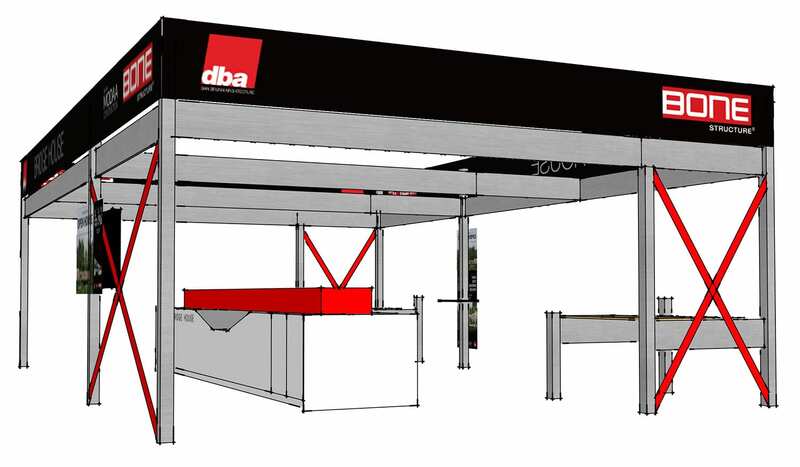 Dan Brunn Architecture, BONE Structure and MODAA Construction have teamed up for this year’s Dwell on Design booth, creating a showcase of design, technology and innovation. 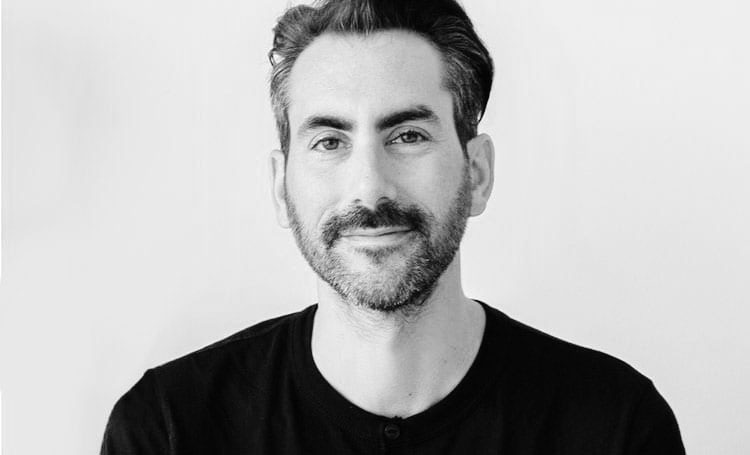 As guest speakers, Dan Brunn and Marc Bovet will share their experience designing, building and innovating using new processes, and integrating high-performance systems. 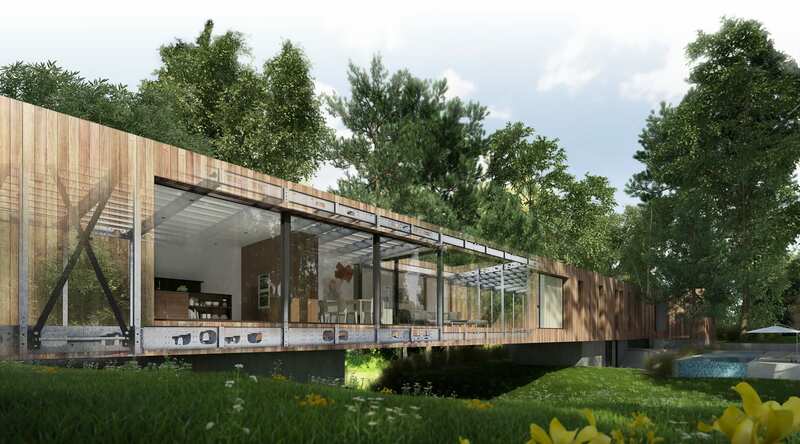 Take a look inside the future of home building with the innovative net-zero Bridge House. This minimalist, energy-efficient home is conceived as a laboratory for contemporary building and living that literally spans a rambling brook in the middle of Los Angeles. 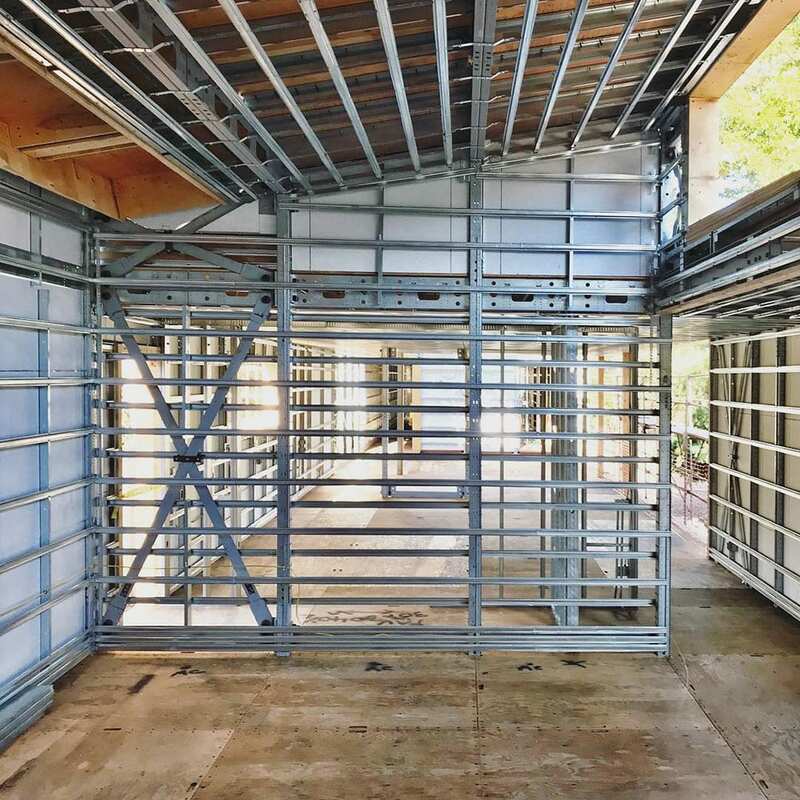 Architect Dan Brunn, AIA, will reveal the process and production of the new Dwell Home’s dramatic design and ingenious construction. 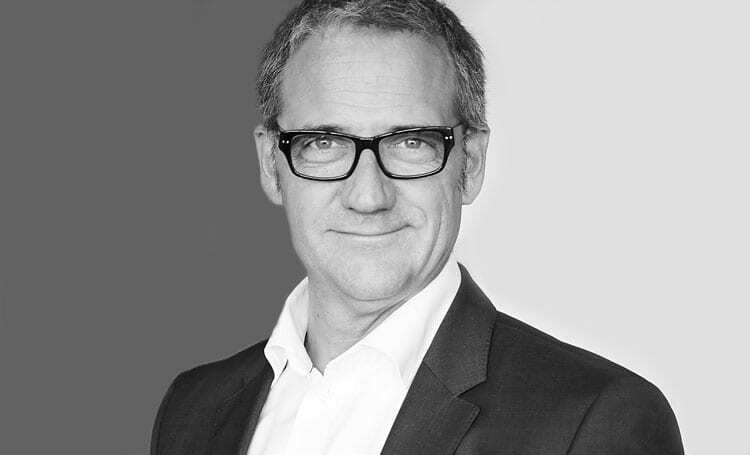 Innovation: Embrace It or Die! Everything that surrounds you has evolved through innovation. Your cell phone is now a smart phone, your car is now a computer on wheels, your news comes from social media and your newspaper is an iPad. The housing industry can’t afford to ignore innovation or stay in a denial mode based on the saying – we’ve always done it that way! Simply because the consumers are fed up and they want their money’s worth!